For the Insurance Utilization Report, you can use the analysis report builder tools to customize this report, which displays production and collections from insurance within a specified time frame. On the Power Reporting page, click (or tap) the Insurance Utilization icon. 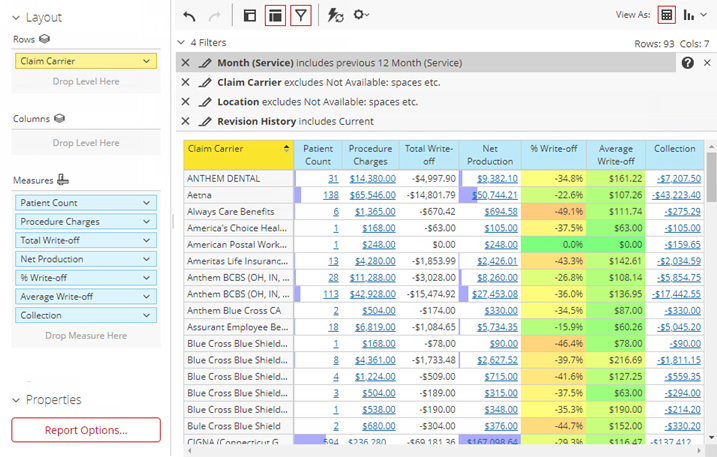 What do the colors on the Analysis-Insurance Utilization Report mean?